This revamped course will appeal to most ages and abilities. A reasonable level of fitness and agility will be expected of participants. Swim and Gym continues with its traditional approach of learning to swim combined with gentle gym and strengthening work, but will also add a little more punch for those wishing to develop already advanced swim and fitness capabilities. Expect more emphasis on performance improvement, skill development and tips to help self-motivation for a future-proofed attitude towards personal fitness. 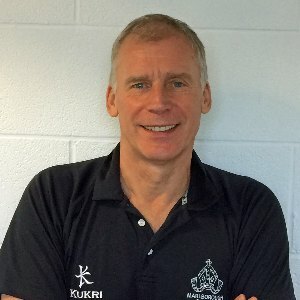 You will benefit from multiple instructors who bring a wealth of sporting experience fused with modern coaching and training techniques. This will be a fun and varied week that will guarantee an improvement in personal fitness. This course involves structured swimming sessions followed by progressive, multi-faceted fitness periods that combine to improve your fitness knowledge, your general fitness levels and therefore your personal capabilities. Combining a mixture of targeted instruction, with hands-on practical work, the course will provide you with the inspiration and motivation required to develop your own fitness regime. The course will cater for all ages and abilities; but expect to complete the course a little fitter, technically more knowledgeable, and therefore able to construct and manage your own fitness programme in the future - whatever your age or ambition. The Swimming component will seek to develop techniques for a more streamlined and propulsive swim-stroke, whilst building on water-stamina and confidence. The approach will be applied to all abilities; the weaker swimmer wishing to generally improve confidence and stroke technique, to the more competent swimmer looking to enhance their swimming techniques, schedules and training programmes. All sessions will take place in the magnificent College swimming pool. There follows a period of well-earned relaxation in the form of morning break - in the area of the Court. We resume with the Fitness component, the syllabus of which includes an introduction to gym-work for strengthening and physical conditioning (in the fabulously refurbished College gymnasium), running, jogging and speed walking (including elements of Fartlek and Trimm-Dich in the fantastic Savernake forest), nutrition, sporting activities as a holistic approach towards fitness. We'll combine discussions and practical sessions on the importance of pre and post-exercise routines, together with sessions on flexibility and mobility, personal goal/programme setting, and techniques to aid with personal motivation. We have designed the course to be a little challenging, but both varied and enjoyable. Please note that we anticipate varied levels of technical competence, physical ability and personal fitness levels on these courses. We have provisioned for additional instructors and therefore have the capability to stream into differing ability groups. All are welcome in what is anticipated will be a fun and informative week. Please fill out the following questionnaires (only complete the swimming questionnaire if not attending the gym session). Please note that all data and information collated over the week will be returned to you at the end of the course. All information given will be strictly confidential. We look forward to meeting you in the summer. 1. How confident are you in the water? 2. How proficient are you in the water; how far can you swim? 3. How often do you visit a swimming pool? 4. Which is your favoured stroke? 5. What do you wish to achieve during the swimming course? 7. Where are you now in relation to your goals? 8. How much time are you willing to devote toward achieving these goals? 9. What is the biggest challenge you must overcome in attaining your goals? 10. On a scale of 1 to 10 please rate how committed you are to achieving your goals? Do you have any medical conditions or other factors that might affect you during the course that you would like to tell us? Martin has been working here at Marlborough College since 2014. Having worked in large corporate organisations for many years, Martin felt the need to resurrect his past sports career and re-immerse himself in the world of sport and physical performance improvement. A career spell in the Army Physical Training Corps, where he excelled in basketball, swimming, running and triathlon (he was an Army team member competing in the inaugural London to Paris Triathlon), Martin now contributes much to the development of the swimming pool offer here at Marlborough.